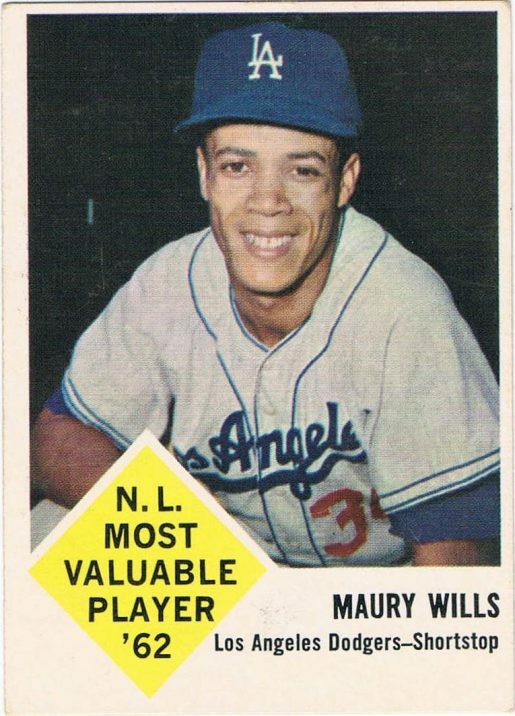 Was Maury Wills Such a Longshot That Topps Wouldn’t Even Sign Him to a $5 Contract? « How Did a Missed Free Throw by an Austin Peay Player Change the Direction of the New York Knicks for 15 Years? BASEBALL URBAN LEGEND: Maury Wills was such a longshot to make it in the Major Leagues that Topps turned down the opportunity to sign him to a $5 baseball card contract. 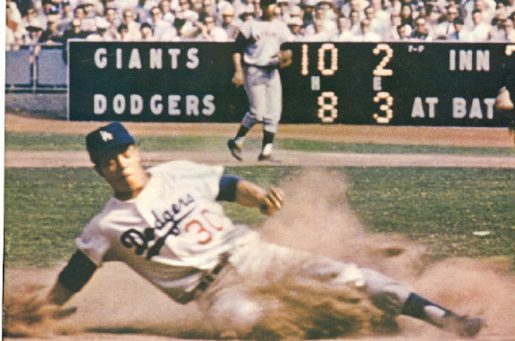 Maury Wills is a true Los Angeles Dodgers legend. The Dodgers won their first championship in Los Angeles in Wills’ first season and went on to win two more titles during his first tenure with the team (1959-1966), with Wills being the team captain from 1963-1966. Wills made the All Star Game in five separate seasons and received the very first All Star Game Most Valuable Player Award ever in 1962! That same season, Wills beat out Willie Mays to win the National League Most Valuable Player Award. In 1962, Wills also won his second Gold Glove at shortstop and set a new Modern Era (post-1900) Major League record for the most stolen bases in a single season with 104 (the first player ever to steal over 100 bases in the Modern Era). Wills’ revival of the stolen base is probably his greatest legacy. Before he stole 50 bases in 1960, no National Leaguer had stolen 50 bases since 1923! However, while Wills was setting records and showing up on Most Valuable Player ballots there was one place he was conspicuously absent – packs of Topps baseball cards! Wills did not have a Topps baseball card until 1968, nearly a decade into his Major League career! For a card company that prided itself on having basically every Major Leaguer in the game, Wills was a notable exception. What makes it even more notable is why Topps did not have a Maury Wills card. You see, Topps did not feel Wills was worth paying the $5 it would have taken to sign to a baseball card contract! Read on to see how such a strange occurrence could have taken place! In 1981, the Fleer Corporation finally succeeded in a lawsuit that they had filed against Topps and the Major League Baseball Players Association (MLBPA) in 1975. Fleer was trying to get past Topps’ exclusive deal with Major League baseball players. The result was that the MLBPA was forced to offer group licensing agreements to Fleer and other baseball card companies to produce baseball cards of the members of the MLBPA (another company, Donruss, also took advantage of this ruling to start producing baseball cards in 1981, as well). Before these group licenses began, players would sign individual contracts with baseball card companies, primarily Topps. Topps continues that earlier practice to this day. Initially, Topps’ system was to pay players on the following scale – any minor league player who seemed as though he would make the Majors would get a $5 contract. That contract would move to $125 when/if the player made the Majors (during the 1960s this doubled to $250). And that was the rub with Maury Wills. In 1959, Wills seemed about as far away from the Major Leagues as you could be as a player! Wills was signed by the Brooklyn Dodgers in 1951 when he was 18 years old. He initially tried to make it as a pitcher and had a tryout with the New York Giants when he was 17, but he failed to make the team. He made the Dodgers mostly on the basis of his speed. However, he spent the next six seasons in the Dodgers minor league system, mostly Single A ball with one single disastrous season in Double A ball in 1955 (a .264 On-Base Percentage and a .301 Slugging Percentage). He was drafted from the Dodgers by the Cincinnati Reds in 1957, but he was returned to the Dodger organization in 1958 after a single unimpressive year in the Cincinnati minor league system. He spent 1958 playing for the Dodgers Triple A team. In 1959, Wills had his first shot to tryout for a Major League team. The Detroit Tigers picked him up on a conditional basis – essentially, they would give him a tryout and if they liked what they saw, they would acquire from the Dodgers. Otherwise, they would return him to the Dodgers. It was during this tryout that Topps employee Turk Karam was visiting the Tigers training camp signing new players to Topps contracts (which, again, were $5 for any minor leaguer who looked like he had a chance at the Majors). Karam did not offer Wills a contract. Sy Berger, the Topps executive in charge of player relations, questioned Karam as to why he did not sign Wills. After all, Wills was in the Tigers’ Major League training camp. Karam explained that the Tiger staffers that he spoke to were quite clear in their belief that Wills was not a Major Leaguer. In fact, all the Tigers seemed to do for Wills in his “tryout” was have him run some sprints. The Tigers believed that he could not hit well enough in the Majors to even merit being a back-up infielder. They said as much to the media when they returned him to the Dodgers on April 3, 1959. Wills seemed far from the Majors and not being offered a Topps contract was like the cherry on top of his ice cream sundae of disappointment. Years later, Berger had an interesting take on what it must have been like for players to hear from Topps that they were not interested in even giving them the $5 deals, “Imagine hearing from a bubble gum man that you are not going to realize your dream of being a big leaguer!” That was the situation Wills was in at the time…and then something special happened. The Dodgers’ Triple A team gained a new manager in the middle of 1958 in Bobby Bragan. Sometime after taking over the team (whether it was towards the end of the 1958 season or the very beginning of the 1959 season I am unsure), Bragan began spending some one-on-one time with Wills. What he decided to work on specifically was teaching Wills to go from being a right-handed batter into becoming a switch-hitter. The 26-year-old minor leaguer quickly took to switch-hitting and he saw a marketed improvement in his batting. In the first 48 games of the 1959 Triple A season, Wills was hitting .313 with a .387 On-Base Percentage and a .391 Slugging Percentage. Since he was getting on base more often, he also began stealing more bases. He matched his entire 1958 stolen base total in just his first 48 games of the season! Then, as luck would have it, the Dodgers’ starting shortstop Don Zimmer broke his toe and Zimmer’s backup, Bob Lillis, was having a poor season, so in June of 1959, Wills became a 26-year-old rookie in the Majors. By the end of the season, Wills was the regular shortstop for the team and started for the Dodgers in the 1959 World Series. Clearly, Topps wanted Wills now, but by then it was too late, as Wills had apparently signed an exclusive agreement with Fleer (very few players had exclusive agreements with Fleer. Ted Williams is really the only other player that comes to mind). Berger and Wills have both denied that Mills was angry at Topps for not signing him and that it was just a matter of Fleer getting to him after Topps overlooked him. I find it hard to believe that Wills did not at least somewhat allow himself to be irked by Topps overlooking him, especially since Fleer did not put out any cards featuring Wills in 1960, 1961 or 1962. Either way, Wills did not appear in a traditional baseball card set until 1963, when he was part of Fleer’s ill-fated attempt to put together a set of cards that could rival Topps. Fleer’s attempt to compete with Topps (by offering packs of cards that did not feature gum in them, thus allowing them to sign players that Topps already had exclusive deals with for bubblegum cards, like Willie Mays) did not pan out. 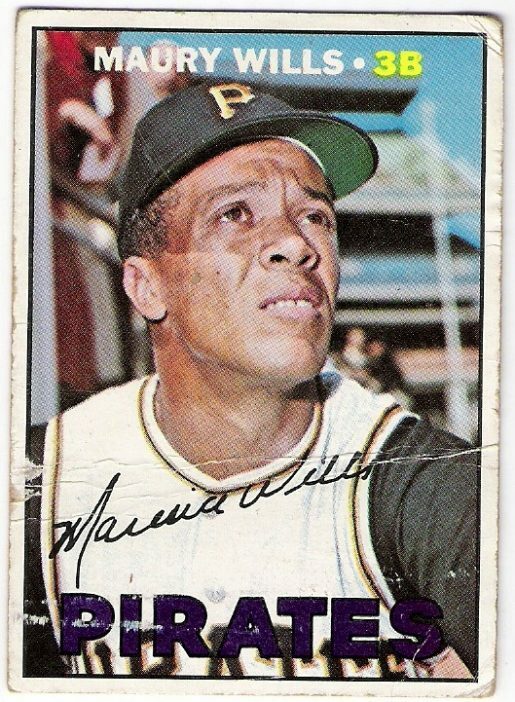 Eventually, in 1967 (after he was traded by the Dodgers to the Pirates), Wills signed on with Topps. Due to the Wills situation, Topps changed their signing practices and basically gave every minor leaguer a contract period (something they continue to do to this day, although I presume it is for more than $5). Thanks to Steven Clark for the Berger quote! 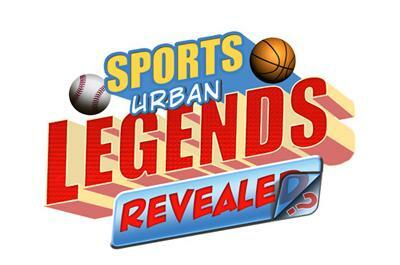 This entry was posted on Friday, October 21st, 2016 at 10:00 am	and is filed under Baseball Urban Legends. You can follow any responses to this entry through the RSS 2.0 feed. You can leave a response, or trackback from your own site.